There is a great piece at climbing.com by Mark Hudon about his and Max Jones' attempt to free the Salathe Wall in 1979. This was an attempt way ahead of its time and truly visionary in terms of what was to come. Obviously even today, freeing El Cap is still a highly coveted tick. In a sense this climb was too ahead of its time as the two climbers while both immensely strong were not systematic enough to solve all the problems that the route had in store. At the time, and in fact even when Piana and Skinner did it, there was something suspect about actually working on a route that was "too hard." So hanging on the rope, leaving fixed protection, etc. was all regarded as cheating. Ultimately the physical difficulties were overshadowed by the psychological climate and the socially enforced code of what appropriate climbing practice was. Hudon and Jones freed all but 300 feet of the route. I'm still trying to free 10 feet of granite in Boulder Canyon by any means possible. By the way, I have to say that I like Ty Landman's name, Freak Brothers II, better than Jay Droeger's Where the Monkey Sleeps which makes me wonder how naming a problem or route follows a certain path or process. Why do some names stick and others slide into oblivion? And how could Jay seriously have rated this problem V8? I am having a lot of trouble holding the left hand in the crease which makes me suspect that this problem has certain reach issues. I would have to differ with the contention that Skinner and Piana did not free the Salathe. Definitions can be argued about but the fact is that as a team they went up and free-climbed all the pitches as they were understood at the time including the hanging belay. At the time that style would have been more than acceptable. Regarding Alexander Huber's ascent, which came along seven years later, he avoided the Double Cracks pitch that his brother later did include and that Skinner and Piana climbed.Though he did climb it in better "redpoint" style, he did not do the first free ascent and in fact does not claim it on his website. I doubt that someone using similar tactics today would "have the claim denied." Instead the recognition that the route went free would be followed by a redpoint ascent that frankly would not have the same weight as the FFA. Redpointing an already freed multipitch route does not carry the pioneering impact of a redpointed pitch. That's why few people except maybe Valley experts know or care about Kauk's "first" free ascent. What the Salathe proved was not what was or was not a free ascent was but instead what could be actually free-climbed on big walls. The Hudon/Jones ascent pointed to the future in a way that few really understood at the time. Both ascents were truly pioneering and quibbles over jumarring or disputed hanging belays point to a later era,one in whch the rules of the game have been defined and the parameters set. Who the heck are you? The route or more accurately a version of the route went free. The hanging belay was unfortunate to be sure and I welcome the correction. And it would have been great if they had both free-climbed every pitch but I think your example of the Nose doesn't make any more sense than proposing that jumaring the Nose is freeing it. You seem obsessed about the point that a route hasn't gone free unless one single person has done all the pitches. I agree that if I was going to claim personally to have freed the route, I would have to free all the pitches, but if I was going to claim that the route went free, I don't have to. While Piana and Skinner's ascent was not perfect, it was important for revising the consensus of what was possible in big-wall free-climbing which unfortunately is simply not the case with later more "pure" ascents. If you feel like identifying yourself, I can continue the discussion. You should also read this of big wall free climbs. OK again who are you? 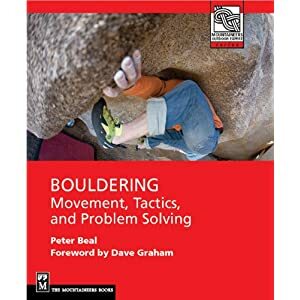 "redpointing means the same thing on a multipitch route as it does on a single pitch"
In practice it doesn't mean the same thing. A leader never acts alone. Someone has to follow and clean the pitches, haul the bags if needed, etc. This support role is a lot of work which is essential to making leader's climb feasible. Would a free ascent of a route be denied if the team leader, having freed all the pitches up to the last hard one, had to hand off the lead to a follower who had been jumarring the previous part? This seems ridiculous to me. Skinner and Piana were operating from a team mentality that recognized the goal as being a redpoint of each pitch from bottom to top, regardless of who did it. This is the essence of the difference between our positions. You appear to be insisting on a purist or ideal definition that feels to me like a reductio ad absurdum in light of the overall goal, one which emphasizes an individual climber's priority over a team working together to achieve a common purpose. Here's the link. It is interesting to note that the author points out that technically the Salathe has not seen a free ascent by anyone owing to variations etc. If you can't identify yourself, I will delete any further posts from "Anonymous" on this topic. I requested you identify yourself and you opted not to and commented anyway. Hence I deleted your posts. If you want to continue the discussion, please feel free to let me know who you are. As I always do, I delete any comments made in a mean-spirited way and since I cannot sort out who made what comments anonymously all of them have been deleted. I'm not "butthurt" but I think it's pathetic for someone to fire away from a position of anonymity and get whiny when they are called on it. If you know "w.t.f" then you should be prepared to tell us who you are and why you should be listened to. I may not know anything but at least readers know who I am. Try doing the same.